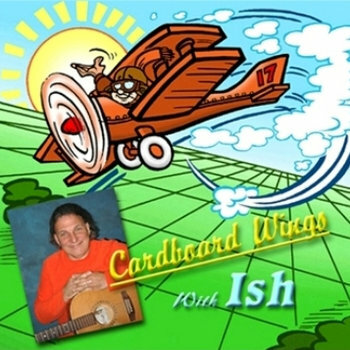 This is a fun filled, highly interactive Concert, as Ish shares his delightful sense of humor and thoughtfully addresses some very important issues, intended to inspire the children’s imaginative spirits, boost their self-confidence and inspire their cooperative values. And, to help them learn through meaningful examples, how important it is to treat each other respectfully. For if you give the world the best you have, the best will come back to you. Ish clowning around with his 3 string Cigar Box Guitar. Cleverly hidden in his songs and stories are positive messages and references everyone can identify with about family, friends and the world outside our doors and feature some of his original songs from his (2) Children’s CDs, Cardboard Wings and Never Say Never. Ish enjoys introducing new instruments to the mix and shares some songs and stories specifically written for this show. artistically, intellectually and socially while not robbing them of their innocence. This heartfelt song is a gentle mix of Folk, Jazz and delightfully showcases the Glen Park Children’s Choir. I believe it is not until you become a parent that you re-discover the true joys that life has to offer. Such a moment occurred as I helped my children learn to read and write, and watched them discover in themselves the incredible freedom that reading and writing has to offer. I too am a passionate reader.